We’ve written so much about stainless steel water bottles We are still on our eternal quest for a water bottle made in the US but that is not a reality yet. In the meantime, we have our favorite brands, including Klean Kanteen, CamelBak, and Thinksport. We’ve decided to wrap it up once and compare these stainless steel water bottles in one go. We’ve put together this post which reviews and compares all of the best stainless steel water bottles on the market. Below you’ll see which bottles we like best, and why. So what is this post all about? It’s a Stainless Steel Water Bottle Smackdown. We compare and contrast the top stainless bottles on the market. We detail which bottles are best that are insulated, which bottles aren’t made in China, which bottles have straws, even bottles that fit in bike holders. Klean Kanteen – You can read our full Klean Kanteen Stainless Steel Water Bottle Review here. CamelBak – You can read our CamelBak Stainless Steel Better Bottle Review here. New Wave Enviro – Another popular brand of water bottles. Thinksport – One of the first insulated stainless steel water bottles on the market. Sigg – Disqualified! Contrary to popular belief it’s made from Aluminum. Want your drink to stay cool and not drip condensation? We have previously compared all of the best insulated stainless bottles in this post and these were our top choices for bottles: Thinksport and CamelBak both come insulated. BPA-Free bottles are a must – you don’t want all of those hormone disrupting chemicals in your bottle. So, which bottle was the best in this category? All of our contenders passed tied this round as they are all BPA free water bottles. Do you want to hook your stainless steel bottle to carabiner some days and other days want a sport cap? We like this option: Klean Kanteen offers 6 different types of tops. Don’t like tipping your bottle upside down and risking water dribbling all over you? We have become huge fans of water bottles with straws. You can read a full review of water bottles with straws here. The best choice in this category is CamelBak . Their Bite Valve and straw system makes drinking easy. Want a good looking water bottle? CamelBak has some fun designs, but I think Thinksport wins overall for a sleek, yet professional, yet fun look. Depending on your activity you may want a large 40 ounce bottle or a small 12 ounce water bottle or perhaps somewhere in between. CamelBak and Thinksport have two sizes, while New Wave Enviro and Klean Kanteen both come in four sizes. If you bike a lot you definitely want a stainless steel water bottle that fits in your bike’s water bottle holder. With the exception of the 40 ounce bottle, all of Klean Kanteen’s bottles fit in a bike water bottle holder, making the Klean Kanteen the most reliable brand. I use these while I commute on my hybrid bike. If you have kids, a stainless steel sippy cup is handy. But check out our list of the best bottles for kids. If you are looking to transition your child off of sippy cups, read our article about straws. We checked out prices at Amazon.com for the size closest to 25 or 27 ounces in a silver color. Here’s what they were: Klean Kanteen, CamelBak, Thinksport, and New Wave Enviro. Best Stainless Steel Water Bottles? So who won the Stainless Steel Water Bottle Smackdown? All four contenders offer something unique. Our personal favorite is the CamelBak because of the straw. Best Insulated Bottle with Straw: CamelBak is your best bet. Best for Cheapest Price and Overall Value: New Wave Enviro. Best Overall for Brand Reliability: Klean Kanteen. Best for not made in China: Unfortunately, all stainless steel water bottles are made in China. You can buy a BPA free Nalgene (plastic) or a glass water bottle if you want something made in the US. If you want a company with sustainable practices and want stainless steel, we recommend Klean Kanteen. You may also be interested in our post about ;Eco Vessel Surf vs Zulu glass water bottles. It’s always a great idea to use a reusable water bottle whenever possible. It’s an easy way to go green too. You can get more fruits and vegetables in your diet by using a fruit infused water bottle for on the go and a NutriBullet while at home. Check out our post about Best Stainless Steel Cookware: Set Showdown, which will help disentangle the safety issues with nonstick cookware. Never buy a plastic water bottle again. There are so many benefits to using stainless steel water bottles while on the go. They are better for our environment than plastic and will save you money as well. Bring one with you wherever you go. We love reviewing reusable water bottles because we are so against disposable water bottles consuming our resources and filling up our landfills. We are highlighting the Alex Bottle as an innovative green travel product because it made from 50% recycled materials. The Alex Bottle is a new stainless steel water bottle that is so popular because of it’s amazing design. We tested it, and we have also heard from people who have tested and the reviews have been incredible. There’s a lot of great reusable water bottle available, and they are easy to find on Amazon. Here’s what we love about this one. We only consider bottles that are completely BPA-free. We absolutely LOVE when our water bottles are dishwasher safe, which this one from Alex is. Because we use our water bottles every time we leave our home, they get a lot of use. We like being able to sanitize them at the end of each day. And again, this one is made from recycled materials which makes it so much better than its competitors. Even more, this one offers an incredible 2-year warranty. Most water bottle companies only offer a 30-day warranty. Plus the ALEX Bottle also features a 2 year warranty and there there is no liner (unlike Sigg water bottles and aluminum water bottles). I cannot tell you how many water bottles do not offer anything but a 30 day warranty, so this is an incredible bonus. You can also put smoothies, sports drinks, and other beverages in the bottle. Because it easily comes apart and fits in the dishwasher the drink will come out much more easily than other bottles. Where is the Alex Bottle made? There is still a great search out there for stainless bottles made in the USA. The Alex Bottle doesn’t live up to this challenge. Instead it’s manufactured in Jakarta. It seems that the compatibility of the ALEX Bottle will make it the biggest selling point for green travelers looking to pack light. There are a lot of great water bottles on the market, and finding the best stainless steel water bottle is important. The Alex Bottle is a little harder to find but if you are considering a stainless steel water bottle, it is a great option. Read about a great water bottle for kids too. After I wrote Stainless Steel Water Bottle Smackdown, comparing and contrasting the top selling Stainless Steel water bottles on the market, New Wave Enviro Products contacted me and sent me some products to review. I love water bottles that are reusable and that are made from stainless steel. Anytime I can forgo plastic and eliminate the need to buy and dispose of consumables — like plastic drink bottles — I’m happy. That’s why I love reusable water bottles so much. I’ve been wanting a 40 ounce stainless steel water bottle for months. But I couldn’t find a way to justify shelling out for Klean Kanteen’s 40 ounce bottle, when I had two perfectly good 18 and 27 ounce bottles that would do just fine. And I didn’t know New Wave Enviro made a 40 ounce bottle until researching for the Smackdown post. Anyhow, New Wave Enviro was kind enough to sent me their 40 ounces stainless steel water bottle to give it a spin. I’ve been using it for a couple of weeks and honestly, I love it. 40 ounces is a perfect size for extended car rides, bike trips, hikes, or any sort of sporting event. When I visit the southwest in the heat of the summer, you can bet I will be bringing and using this water bottle and taking it with me anytime I step outside. In comparison to a Klean Kanteen, there is really no difference except in price and in caps. The New Wave Enviro bottles are significantly less expensive. However, you won’t get the same cap options that you do with a Klean Kanteen (such as flat top, etc.). And the New Wave Enviro Stainless Steel Water Bottle 40 ounces ships with a stainless steel top, not the plastic top that is worse for the environment. Another option is fruit infused water bottles. This has become a big trend as consumers who have stopped buying disposable plastic water bottles are now wanting more flavor in their water. About 2 years ago we ditched our plastic Tupperware in favor of glass/Pyrex. A good variety set is this 18 piece Pyrex set. We felt that warming up food in plastics. Which can leach chemicals and melt at hot temperatures wasn’t worth any potential health risks. The only problem I’ve found with glass is that it is extremely heavy to carry on a daily commute to work. But, it never occurred to me that there was an alternative. Another of the New Wave Enviro Products is the Stainless Steel Food Container. While you can’t heat it up, it’s great for salads, fruit, sandwiches, or any other dry foods. I will definitely be using this frequently. Another brand I use is Lunchbots. The stainless steel lunch containers I have from this line are perfect for packing my kids’ school lunches. Another creative lunchware piece is the Bamboo Lunch Bag. Bamboo is lightweight and sustainable. And the bag is surprisingly soft. This is my go-to lunch bag. Learn about fruit infused water bottles as a way to drink more water. Whenever you can, work toward eliminating plastic and opting for reusable products. New Wave Enviro products makes it easy to use reusable products. You will be doing yourself, as well as our earth, a huge favor. I’m not very green right now and use the Styrofoam cup that they provide at work– so this means with my new water bottle, I’d throw it into my big purse, potentially next to my notebook, sweater, wallet, etc. and I don’t want them to get all wet! I’m not big on the sport tops for water bottles because I feel like I can’t ever clean it very well. I haven’t yet decided on one but thanks for the information!! I like it if it doesn’t spill all over me when I take a sip- and I like when it keeps the water cold! I look for a water bottle that is easy to clean, easy to open to drink out of, easy to carry, and hold enough water to be useful. Also I like one that is attractive. Having to give up the “7’s” for health really broke my heart as there went my Starbucks 1 liter orange plastic water bottle! It was a hard parting. While traveling around the world, I carried my water bottle with me daily, dangling from my mini-messenger bag. It was easy because it was small volume (.5) so it weighed little, which also kept it from bouncing too much as I walked. If you’re traveling long-term like I did, it would be worth investing in a new water bottle. What works for you at home may not work on the road. I run daily, bike often, and am a full time design student. I’ve been looking for an insulated stainless steel water bottle that is just as useful on the road as on a desk. Plus the condensation from single walled bottles always tends to find its way onto a sketch, which is definitely bad for business. Your reviews have helped me narrow down my choices. Thanks a lot. We provide stainless steel water bottle , same as Klean kanteen ,Earthlust ,New Wave Enviro .But our price is cheaper as 1.5USD/PC .As our know , all that well known brands of stainless steel water bottle are MADE IN CHINA , we are a factory in China .We directly provide the products for you . I am definitely in the market for a new water bottle, especially for travel! Have been using the same old BPA-laden Nalgene for just about ever, ack. These are slick and beautiful and would be great on the road or at home. Right now I’m looking for a water bottle that won’t break. So far I’ve managed to destroy countless Nalgenes, and one Sigg. I’m looking to get the best possible all purpose water bottle. Something equally good for hiking, road trips or sitting on the night stand. No spill. Would prefer to walk around without spill marks on me. Wide mouth Easy to clean – Don’t want any scummy stuff buildup. I also noticed on this site a link for eco canteen. Now that you had a smackdown, how does eco canteen compare. The “as seen on TV” makes me skeptical. I need a new water bottle! I have been using an old, dare I say, polycarbonate bottle, that leaks in my work bag when it is not standing erect and it also has small microfractures developing in the plastic. So, with all the talk of toxin leaching from plastics into the liquid, I thought I would research the many stainless steel options out there. And there are many!! I still can’t choose. Anyway, below is what I would like in a water bottle. 1) Leak proof, leakproof, leakproof! 2) A wide mouth for addition of ice cubes but not so wide that when I drink out of it, its easy to spill on clothing. 4) Insulation – It would be nice to keep cold things cold for an extended period of time. I have an insulated stainless dual cap bottle that I love. I got it from Flylady.net – it keeps the water nice and cold and no condensation forms (even on a 90 degree day sitting in the car for 8 hours). Because it has the dual cap, it has a wide mouth opening so it’s real easy to clean too. Thanks for the concise and helpful summary of these bottles. You did a good job of pointing out their strengths and flaws. I typically like CamelBak–especially their straw design, which is available on their stainless steel bottles. However, you failed to include a very good, high quality competitor: Thermos. They have double-walled construction, offer several sizes, and some come with silicone grips and sipper tops. 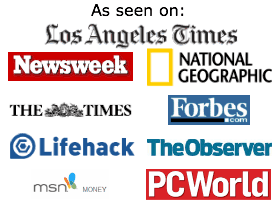 Amazon sells them at competitive prices and they get great reviews. So even though they didn’t make it in your “Smackdown,” just like Rocky, given a chance they might have scored a knockout! I look for a water bottle that I can sip out of without having to screw off the top, easy to clean, leak proof, no condensation, keeps liquid cool, and is durable. I’ve researched several brands of stainless steel water bottles and found one that really stands out from the rest. Ecousable’s Ech2o Stainless Steel Filtered water bottle. The filter removes 99.99% of pollutants in water, including giarda for up to 100 gallons. Not only will you reduce the waste of plastic bottles you can get clean drinking water from just about anywhere, including taps, lakes, streams and ponds. Great for the outdoors type. If you’re a traveler these bottles will go though security. Just take the bottle through security empty and refill it from a tap once you’re through. If you’re in the market for a stainless steel bottle, you should check these out, a very impressive product. A good round-up. One of the things I’m looking for is an insultated one that is small enough in diameter to fit in most water bottle pouches, but still has a reasonable amount of liquid in it. Thank you for this article. I went from using plastic water bottles to an aluminum thinking that was safer. I have now heard a lot of concerns about the aluminum bottles as well and wanted to check into stainless steel ones. Your sight really helped and I have some ideas of what I want now. Great Article! I’ve been looking for a good Stainless-Steel bottle, ’cause I heard aluminum was no good, and plastic is a no-brainer. There are a few other different bottles out there though, one I found that really looked cool is called WeDrink. For each bottle sold they make a donation large enough to give one child in Africa clean water for 10 years. Kinda like toms shoes. Anyone else heard of WeDrink or tried out their bottles? Watch out for the aluminum bottles. I’ve heard that mold tends to grow in them easily. The best reusable bottles I’ve found are these stainless steel bottles that come standard with a stainless steel cap. The same site also offers glass water bottles, which are also non-toxic and eco-friendly. @ Paul – Thanks for your thoughts about Thermos. You’re right – they are a great contender for stainless steel water bottles. @ Misty – Aluminum bottles are not necessarily bad — it is just that they are likely lined with BPA containing products. But the wasted half drinken bottles of water left all over the house, not to mention all the environmental waste we’re creating is finally getting to me. Looking for bottles that won’t leave puddles on coffee tables, can be easily filled with ice, can be properly cleaned, and are “cool” enough to entice a 13 year old to use regularly. Looking for a Made in the USA stainless steel water bottle… any out there? @ Debbie – Unfortunately, I have yet to find any American made stainless steel water bottles. Sorry. Does anyone else know of any? @ Sharon – I would definitely buy an insulated bottle like the Camelbak or Thinksport insulated. They don’t sweat like other bottles and thus won’t leave rings on your table. Thanks for the info. Been sucking on plastic for a long time and would like to stop. 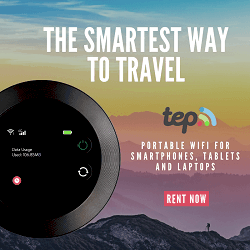 The comparison info helped but still looking for best product. Would like insulation, no sweating, and easy wide mouth opening on bottle. Lots of ice. Appreciate the info you shared and will make decision soon. Thanks for this helpful article. I want to stop with the “sweating” plastic bottles and all your info will definitely help me out. I live in the Phoenix area and work at an elementary school. It was 116 yesterday and every student needs to bring a water bottle. The sweating in the backpack is a huge problem and we need that clip – sounds like you are steering us towards Camelbak. I will check them out. Wow, really? You’re being pushed around by a 13 year old? I’m a single father and the day my 15, 12, or 8 year olds tell me what they will and won’t drink better be the day they’re packing a suitcase to move into their own place. This is why we’re becoming a nation of whiners. One of the good things about being a parent is that YOU get to make the rules. You should try being one sometime. All FOF bottles are made of high-quality, food grade #304 (18/8) stainless steel. It’s that simple; they’re completely BPA-free, won’t leach any scary chemicals or toxins and don’t require any type of special inside lining like some other bottles. All caps are made of food grade polypropylene which also are completely BPA-free and independently FDA certified (not too many companies go to that extreme). All FOF bottles come in single-wall 550 ml or 750 ml capacity in either a brushed stainless or bright (mirror-like) polished finished. They are 100% recyclable, dishwasher friendly, eco-friendly and, quite simply, one of the classiest designs on the market today. We also have a line of smaller junior bottles. They’re 500 ml with the same shape as our other bottles to make it easy to hold for small hands. They come with either our hook cap, sports cap or brand new sippy cup adaptor and are finished in either blue or pink! • for easy cleaning to prevent any type of bacteria build-up. Small-mouth bottleneck designs can’t give you either of these. FOF bottles are indeed an essential ingredient “For Our Future … For Our Family … For Our Friends”. I am looking for a bottle to sell in the schools and the community. We are raising money for pumps and wells in Sierra Leone, the country the UN has dubbed the “least livable”. My concern is the the bottle is as good as if not better than what the kids can get at EMS or Walmart. It should have a wide mouth to accommodate ice, a ring top to hook onto backbacks and be green green green. Our project is about teaching African’s skills to make their lives better and all about teaching our community to see that we are all one on this little ball of dirt and water. I have been drinking out of a plastic water bottle that I keep refilling with water from the faucet and I am looking for something that is healthier since cancer runs in the family. The water in the plastic bottle tastes funny if you don’t drink it right away or if it’s left in the refrigerator for more than a day. Camelbak seems like the way to go since it’s insulated. I have another name brand stainless water bottle and I love it except for when it sets with a liquid in it it seems to build pressure and when I open the valve it sprays all over. So I want one with a bite valve, with some kind of hook and I want it insulated, I live in AZ and It’s 100+ degrees out and I like my drink to be cold not warm. I currently am using camel bak plastic water bottles and thinking about buying a stainless steel one. The only problem I have with the current one I have is that over time the straw thing stop working well and I can’t get much water out of it. My question is, does this do the same thing with the new ones? @K VanderMeyden – I have had one of my Camelbaks for about a year and a half and haven’t had this happen. Have you take off the very top (disassembled it from the straw) and soaked it in a vinegar water solution? Perhaps there is build-up in the straw? 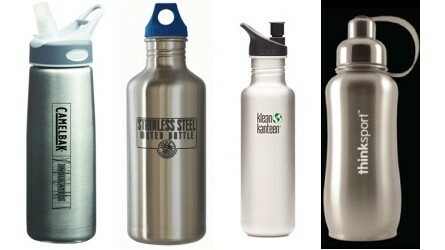 We provide same Klean Kanteen stainless steel bottle,but much cheaper price ,only 1.5USD/PC . I’d say that you’ve failed to “wrap it up once and for all”. I mean, how about ease of cleaning? Can my hand fit inside any of these bottles or do they all have narrow necks? @DMike – Excellent Point! I honestly hadn’t thought about cleaning. If you have a dishwasher, all SS water bottles clean well in the dishwasher. We don’t. So I typically just use a skinny scrub brush. I would say that the Camelbak is much more difficult to clean because of the straw and drinking apparatus, but it has a wider neck. The Klean Kanteen style doesn’t have the straw so there are fewer pieces to clean. Hi Elizabeth. So it appears that all bottles are NOT created equal. There’s been an unfortunate incident that’s happened to one of the leading aluminum bottle companies. Since our bottles are pure stainless steel, we’ve been asked to comment on the incident a number of times. When these aluminum bottles first came out, there were questions about what exactly is in the liners of aluminum bottles. With stainless steel like FOF Bottles, there is no need for the liner, so no worries about the presence of BPA. Oh, DMike, our FOF Bottles all have a wide bottleneck specifically designed for easy cleaning as well as access for icecubes. I was looking at the Sigg site and the regular water containers are aluminum but the thermo bottles are stainless steel. Some in the price range of the Camelbak and the Thinksport. Could these have been in the comparison? I’m interested that so many people want the insulated bottles. These are double walled stainless steel so they are really heavy when filled with water. I’ve never had a problem with condensation on uninsulated bottles but maybe that’s because I use the water right out of the tap, I don’t put it in the fridge? It is also great if it is FREE, thanks Camelback for the opportunity. I was just wondering, since all of these containers have plastic lids, do those lids leech BPA into the water? Plus, I’ve heard that insulated bottles also carry trace amounts of BPA in the lining. In fact, SIGG just got busted for that very thing. And, isn’t the plastic that makes up the straw on the Camelback plastic? Just wondering. I’ve found a product that houses pure spring water in 100% compost-able bottles made 100% from plants. They don’t leech anything into your water, the water itself has won accolades for taste, and you can put it in with your banana peels when you’re done with it and it will biodegrade. I don’t think it’s available to the public until next month, but I think it sounds promising. The company is called Naturally Iowa. I have carried a water bottle with me wherever I go for a couple of years. I’m on the go quite a bit, and need a durable, environmentally friendly water bottle. I would love to have one of these! I’ve been looking for some good ss bottles. I just looked at the project earth bottle; it looks like a nice bottle, but like so many others out there it looks identical to a Klean Kanteen (except for the cap — but that looks identical to another brand also). The price is expensive too. This has been interesting and helpful. I am seriously considering SS bottles for my family. I like everything I have read so far about them. I was going to go in on a group buy for Kleen Kanteen bottles, but couldn’t get some of my questions answered by the group leader and decided it wasn’t the way to go. So, now I am looking into this more. I definitely will go w/stainless. However, I would also like to support US biz if possible……do you know if ANY stanless bottles are made in the US!?!?! It seems to be impossible to find. Thanks! @ Stacy – Unfortunately there are no SS bottles that are currently made in the US. Apparently companies have looked into it and the prices are exorbitantly high. I have been looking for a ss water bottle. I have also been looking for a thermos for my warm drinks as well. I’d rather not carry around 2. From what I have seen, thru this website, the thinksport is the only one that can be used for both.Any one else out there find one for both hot and cold beverages? Laken, Earthlust, Klean Kanteen.. As for a thermos, the Laken Stainless Steel Thermo INOX Vacuum bottle is great! Great review of bottles. I found one that wasn’t listed, is done by a smaller company, and I think really raises awareness about the dangers of non-reusable bottles. You can find them at Stainless Steel Bottles – Poison Bottle Company. Not only are they affordable (on sale right now) – but they raise awareness by having a poison logo on the side. I have had mine for just over 2 weeks now and people ask me about it all the time. So…if you want a great bottle (easy to fit ice into, fits in cup holder), and you want to raise awareness – give them a try. I’d really like a ss bottle that fits in a cupholder & has a sport top that doesn’t leak or make noise. From reviews, I think I’d really like the Camelbak but can’t tell if it would fit in a cupholder or not . . . probaby too wide. Kleen Kanteen does but their sport cap doesn’t seem as good as Camelbak’s Bite Valve. Great list of water bottles. I’m having a hard time finding the perfect bottle at the moment. I used to be a stainless steel bottle user, but I am now using the plastic variety. I went to an outdoor event once that had security checks, and I was refused admission because of my stainless steel bottle. Maybe they thought it was a fuel cannister, or they wanted to see the liquid, or they thought it could be used as a weapon. I prefer clear plastic with a small top. I have found my last two bottle leak when flying, so having a good seal is a consideration as well. Sigg also has a stainless steel line called steelworks thats manufactured in asia. 1) Those who have asked about stainless steel bottles with plastic caps leaching BPA through the caps: make sure the caps (like ours) are made of Polypropylene #5. This material does NOT contain BPA and will not leach any scary chemicals. Stainless steel caps actually have a tendency to leak water into the cap itself and stay there. This is a bad thing! 2) Noisy Sport Tops. Many do make a “squeaking” sound. This often comes from the breather valve on some of the designs. Some of those also leak. I’d suggest you look for a sports cap without the “ball valve”. No squeaking! 3) Type of stainless steel. Some bottles are promoted as “stainless steel”; yet there are definitely differences in ss. The high-end bottles (like our own FOF Bottles and their KK’s) are made from 18/8 (a.k.a. #304) material. This means it consists of 18% chromium and 8% nickel. Chromium is for the durability (the hardness) and the nickel is for the corrosion resistance. Cheap ss water bottles (that typically do not promote “18/8 material”) may be made of 18/0 material; it’s a stainless steel, but is subject to rusting (yuck!). Find out what they’re made of first. 4) Design and shape. Once you’ve established a good, high-quality 18/8 ss bottle with a #5 cap, look for a design and shape that you like. Many out there are very similar – if not identical. We’ve designed our FOF Bottles a little different. It comes down to your own personal preference. 5) “Made in China”. Well, let’s talk about it. The challenge we face in North America is, as you know, the cost. We could indeed produce an excellent bottle here in North America, but the cost would be so extreme that it would be difficult for people to purchase the bottle for up to 3 or 4 times as much (imagine us listing our FOF Bottles for $40 each!). If we did – and others did as well – it would probably mean that people would continue to use single use plastic bottles and continue to throw plastic into the landfills at a rate of almost 1 million bottles per day (where they sit for almost 700 years). Since our top FOF Bottle goal is to try and change peoples culture towards using plastic bottles, we need to make it economical. Trying to balance that with keeping the business “at home” means, for us, that EVERYTHING else is done from here — our design team, the printing company we use, the shipping company, the website, etc. is all from Canada or the U.S. Only the bottle itself is carefully and responsibly manufactured at our facilities overseas. In doing all of this, we can offer our exceptional FOF Bottle product at some of the lowest prices that you’ll find anywhere. I hope this helps you out. If anyone has any further questions or comments, please feel free to contact me directly. Making the world a little brighter … 1 bottle at a time. I Would love to order for some items to italy. I don’t think these things are actually made in the USA; their website says (under “about us”): “…if you ever had any questions about our factory standards overseas, environmentally responsible manufacturing,…..”. So it doesn’t sound like “factory standards overseas” equals made in the USA ??! I have a question for Grant @ FOF. What controls do you have in place to ensure that the maufacturer(s) of your product use quality, food grade, stainless steel. I have purchased several cast iron skillets and other metal cooking untensils that were made in China. I had the products tested and found that over 70% were contaminated with lead or other harmful substances. Overall China does not have a good track record when it comes to product safety. Here’s a new feature that has come onto the market since this review was done…a stainless steel lid to match the stainless steel bottle. I was so glad to find this because I never liked the fact that all the other bottles have plastic lids, which tend to start flaking off into the water the more I used them. Both the bottle and the lid are made from 304 stainless steel, so your water will never touch plastic! I, for one, would pay $40 or even twice that for a quality, reusable, SS bottle that should last years and years and is made in North America. I don’t know how many others feel this way also, but I try not to fund a Communist country with terrible human rights, labor and pollution laws – all of which allow the low manufacturing costs. I also would much rather pay the extra money to purchase an American made bottle. I guess you are not worried though as the 10%+ of our population that is unemployed would not be able to afford the imported bottles as well. Well, I have a family of 4 and I definitely would not (and cannot) pay $200 for 4 bottles — considering that my son would probably lose his and we’d need to replace it! Who could actually afford a bottle that cost $40-$50?! I understand the whole “don’t buy from China” thing, but the reality is that 50% of the items in stores come from there. I think there are lots of people who realize that plastic bottles are bad and want to buy ss bottles but can’t afford to pay tons of money. Purchasing them from a reputable North American based company like K.Kanteen or FOF, is the next best thing in my opinion. that does not sweat, and will keep your water icy cold for hours. (germs). The cap is attached so you aren’t fumbling with a cap while drinking. It’s also nice because you can put the bottle in the holder on a treadmill, etc. leaving the top off, but attached. Check them out – they come in 5 colors, and will be available in white later in the Spring. I have also been looking for an American made stainless steel and insulated would be great!) bottle. Sadly, I have not been able to find one. I would pay a lot more to get an American made one. I would pay even $100/bottle if it was perfect. Someone would pay $100 per bottle? Seriously? And for the rest of the family as well? I have 4 kids; with my wife that’s 6 of us. So, $600 for 6 bottles – taking a bank loan to buy bottles doesn’t really appeal to me; but that’s just me. I think some people are losing sight of what needs to be accomplished — while I realize there are issues in China, cleaning up OUR country by getting rid of the plastic bottles should be a concern to us. Get one of these perfectly good stainless steel reusable bottles and clean up our landfills. Not sure I would pay 100 dollars for a bottle made in the USA, but I know I would be willing to pay a good amount. I mean really you pay on average 20- sometimes near 40 dollars for bottles made in chine why wouldn’t you pay a bit more for made right here. By buying made in the USA you would be assiting cleaning up the planet also as it costs alot of gas to ship all of those bottles from china. So please somebody make a good double wall SS bottle made in the USA!!!!! nearly all these bottle are the same, 18/8 stainless, communist chinese made (and theres always the doubt there of contaminants), with or without steel tops and usually too small (less than a litre). theres nothing enticing about them especially as you cant tell until you get one if they will make everything taste of metal, be poor quality or the lid leaks, all of which seem to be common problems despite manufacturers claims. i would pay alot more for a properly made bottle, what i would like to see is a stainless of bpa free plastic outer with toughened glass liners so water is only touching glass as this is the only truly safe material. a bit like the old thermos flasks but better made with todays tougher materials, it doesnt need to be insulated, i wouldnt use it for lightweight hiking but would for just about everything else. @ Andrea and Billie — I think $100 is a little steep for a bottle, even if it is American made. I wonder how many people would actually pay that much? @Tim I have actually found most of the Stainless Steel Bottles to be without a “metal taste” and their lids to not leak. What is enticing about them is they are BPA free and not plastic (which is really tough on the environment). I like your idea though about the glass liner– although I imagine this would break quite easily. @Tim and @Elizabeth – I think the “metal taste” has more to do with the person; I read somewhere that it may be an allergy that a person has to the nickel that’s in some of these bottles. The higher quality bottles have nickel in them — it’s like getting that “metal taste” on some stainless steel forks. Also, the idea of glass is great but Elizabeth is right – it would break the very first time you drop it. I would NEVER pay $100 for a bottle. I agree with @Edward; so much time and money is spent on worrying about other countries that have problems but I think we need to concentrate on the problems we have in our OWN country first. Like he says, please please please lets all try to concentrate on cleaning up our own landfills here in the US. Klean Kanteen is a good popular brand, I have one of those and I just ordered 4 more from FOF Bottles as they’re 1/2 the price for the same quality. I’m doing my part to get rid of my plastic bottles, are you? I also vote for stainless steel bottles made in the US or Canada. I do not trust that anything made in China is what it claims to be, regardless of assurances from manufacturers and or distributors. Kudos to Grant from FOF bottles for unabashedly using this forum for all the free advertising he can milk from it. Shameless. For our Future…blah blah blah…put your money where your marketing is. If you really cared about all that you claim to, wouldn’t that include employing local people to make a product mostly purchased by those in the US & Canada? How environmentally friendly is it to ship bottles half way around the world to it end user? If you fear the retail cost of a product not made in China would be prohibitive, aren’t you exploiting cheap laborers? Here are some excerpts from an article involving our manufacturing friends in CHINA. Reports are mounting that manufacturers and dealers from China, India, former Soviet bloc nations and some African countries are exporting contaminated material and goods, taking advantage of the fact that the United States has no regulations specifying what level of radioactive contamination is too much in raw materials and finished goods.Compounding the problem is the inability of U.S. agents to fully screen every one of the 24 million cargo containers arriving in the United States each year. The China-made grater bearing the well-known EKCO brand name was laced with the isotope Cobalt-60. Tests showed the gadget to be giving off the equivalent of a chest X-ray over 36 hours of use, according to NRC documents. Estimated to have been in circulation for as long as a decade, the grater likely was four to five times more radioactive when it was new. EKCO’s parent company, World Kitchen, of Rosemont, Ill., described the incident as isolated and found no need to issue a recall, spokesman Bryan Glancy said. Apologies if I am asking stupid questions. But all this issues about contamination of the bottles are giving me a headache as I am trying to find a safe bottle for my little one. Originally I thought a metal bottle would be a solution to the BPA or Phtalate contamination. Then I discover not only that the metal bottles are not BPA or Phtalate free, they can also be contaminated by heavy metals (I hope I am using the right term here .. might be lost in translation .. sorry). Therefore I have a question about the SS bottles recommended in this page: Are they also tested for “heavy metals” contaminations or only for the fact that its BPA and Phtalate free? Are there bottles which are free of any kind of contamination which preferably can hold cold and warm water? Would appreciate your help for a confused mother. @Shawna – while I appreciate your concern about the chemicals that can be found in Stainless Steel – I am confident that reputable companies such as Klean Kanteen and CamelBak are constantly testing their bottles. While I do tend to be on guard about issues such as those you are raising; I think that Stainless Steel are far better than the alternative — plastic bottles. There is a risk to everything, but SS is far safer. For your little one I would get a bottle from a reputable company. I have not heard of these other contamination issues before and would not be too alarmed by them. I have a plastic camelbak right now, and I LOVE it. I take it everywhere. Use it in the car, on road trips, and just in the house so that I’m always drinking water, and not using up our glasses for just water! It’s pretty durable, recently I got a crack in the plastic right below the part you bite on, so it makes a bubbling noise when I use it. My husband bought one too, because I kept saying how much I loved mine! But it does sweat a lot. I would love one that doesn’t sweat. I like the ThinkSport. Water bottles are a great way to go green and save money. In 2003 $7 billion was spent on bottled water in the US! I’m calling total BS on this. I suppose we’d have to understand the business world and pure startup costs for dealing with stainless steel – the costs of things beyond labour (including the purchasing and setup of machinery, the raw materials, building leases, power demand and costs, etc.). It isn’t just the labour costs that are cheaper — everything else is as well. I bet a USA built bottle would be ALOT more than 3-4 times as much by the time it’s ALL factored in. It’s crazy, but it’s probably true. I’m all for buying things homegrown too, but not if it’s going to excessively tap my pocket. Camelbak, Klean Kanteen, FOF, Thinksport: In my opinion it looks like they’re all really good quality; most are reasonably priced and they ALL do the same thing — reduce the amount of plastic in the world. Does anyone know if the ECH2O filtered water bottle caps are compatible with any other brand bottles? I’d like to purchase one ECH2O bottle with filter to use with a another brand if the thread is the same and bottle size is similar. Unless a company publishes it’s “independent” third party testing for all to see, I would be very skeptical about the product testing in China. I have personally resolved these issues for my own well-being. I use good old glass bottles of varying sizes, with the outside lined with sheets of Styrofoam for safer handling. While granted this will not work for everyone, it will suffice for many. Buying excessive amounts of imported goods does tap your wallet! We are squashing our own wages by buying on the basis of price alone. We’re in a downward spiral, a tail-spin, buying foreign goods because theyre cheap and because we can only afford cheap because we have lost our higher salary jobs. Some foreign made items would be fine, but I challenge you to buy US made items for a few months. You’ll discover that there are not many things you can buy that are made in the States. Is it any wonder were losing our position as world leader? We’ve outsourced everything. Hilarious and, right on! Exploiting cheap labor is right. Chinese leaders manipulate their money and abuse their people. With that in mind, who is “our” in the FOF logo? It is certainly not the Chinese peasant. I want it to be clear that I am making no claims about the inherent evils of China versus the US beacon of holiness-we had to create Unions to ensure laborer rights, our government did not look to the immigrants-I am merely suggesting that we put our money where our mouth is and buy responsibly. My teacher just gave us an assignment with this Qn on it “why can’t hot water be stored in steel?” and the frustrating thing is that I’m not sure why! I can’t seem to find it though Google either… If anyone knows, HELP! Alan, maybe because hot steel looks the same as cold steel? Thanks for the info. I have been drinking out of a plastic water bottle at work and an aluminum one at home. I will be switching both to the stainless ones. Great info! I am looking for a new water bottle that I can put ice in. I am not typically happy with drinking out of a straw but I thought it might be easier when hiking. I think the insulated bottle sounds like a good idea. I’m looking for a water bottle I can travel with, something very durable, and trying to kick the plastic water bottle habit too. I like the Camelbak bottles that were linked! @ Ceri Insulated water bottles are definitely nice – but they do have less capacity than regular water bottles. Something to remember when taking it on a hike! We just purchase the nicest shape bottle from SUBZERO. It has a curved shape that makes is not only easy to hold but also makes it look sleek and modern. The pop top lid is pefect for a quick drink while excercising. Alo have a Kleen Kanteen we like but went with SUBZERO since it is much cheaper in price. Great review. I personally like the CamelBak much more than the ThinkSport, but maybe just because it reminds me more of my old Nalgene (that was an unhappy breakup) Most New Wave bottles are straight-up knockoff Klean Kanteens . . . if you care at all (I do). “Milligan” makes you a relative of Jenifer Milligan, VP at Pura . . . seriously? It looks from the pictures like your family is also peddling bottles that are exact knockoffs of Klean Kanteens (even down to the much touted stainless cap) . . . double poor form. It’s 2010 . . . meaning it takes 1 minute to check these things. A Google search for “Pura” and “Milligan” makes it look like the entire clan is out there posting supposed accolades for this shady outfit. Seriously people, there are plenty of reputable companies out there who have the decency to design their own products and tell us quite a bit more about how they were manufactured. Google says Pura bottles come from “ELEPHANT STAINLESS PRODUCTS MANUFACTORY CO.,LTD.,CHANGCHENG INDUSTRY AREA,YONGKANG CITY,ZHEJIANG PROVINCE, China.” Can we see some info on them? I never drink enough water and I think if I had a cute nifty little water bottle that keeps my beverages cold and could tote around everywhere the convenience of having it with me would remind me to drink some more H2O. I am tired of hunting down vending machines and I would love to try out the new Camelbak!! But what are the nozzles made out of? Plastic? I found this site very useful! I have kids in sports and summer activities often led us to having plastic water bottles in the truck at all times. Then I found out about the leaking chemicals from the plastic into the water especially when heated…like in a trunk in the sun all day. Wow-Time to Change to Stainless Steel! I am furious how China is taking the market on the stainless steel reusable drinking bottles. Let’s reduce plastic, but support a country that does not care about the environment like they do. No way, thanks for the info, I will buy from USA! I think the lids are made out of a BPA free material. The websites at Klean Kanteen, Thinksport and FOF Bottles say it clearly, the website at Camelbak says that the bottle is bpa free, I assume that means the cap too, but you should check. This was helpful. I’m going to look at Kleen Kanteen’s products. All I want is a steel water bottle that can fit into regular cup holders. So many of the steel water bottles are so big that you can’t put them in cup holders–or, in my case, in the water bottle holder in my daughter’s lunch box. We use her bottle every school day, and it would be nice to find one that fit that also has a top she can drink out of without taking it off (that’s another thing that has annoyed me, but recently we’ve found several bottles that include an extra top that you can drink out of). actually, kleen kanteen does come double walled (insulated) and they even make a wine carafe. you can also get caps with stainless on the inside so your drink isnt exposed to any plastic. I’ve just read that the new Klean Kanteen sports caps are all being re-called as they’re breaking. uh oh. We are the factory for all kinds S/S water bottle.Most of them have been loaded to USA market.We can offer you unique shape bottle with a cheaper price. I JUST discovered the stainless!!! I love my regular one but stainless is AMAZING!!! I want! And I want to give for gifts for sure! Poison Bottle Company, based in Denver, Colorado, is a manufacturer of stylish, eco-friendly, reusable water bottles. Contrary to the name, Poison bottles are made from the highest quality, food-grade stainless steel. These are the next “Green” water bottle. @ Shyrose – Poison water bottles ARE NOT made in the USA to the best of my knowledge. The company is based there but I can’t find anything that says the bottles are actually manufactured there. Do you have contrary info? The Poison Water Bottles ARE NOT made in USA. I just called and they are made in CHINA. Let’s see ~ plastic rubbermaid bottle that is bph free made in usa or a stainless steel bottle made in china that could possibly have other contaminates in it not to mention the fact that by purchasing a product made in china I would supporting a communist country that has poor environmental standards and human rights ethics… what a choice, or maybe not! I choose USA! This is really helpful information. I understand how people are worried about supporting a country like China because of their problems; but the more important thing to me right now is the health of my OWN children, so I won’t let them drink from a plastic bottle. They drink from really good stainless steel bottles that I’m more than happy with and my kids love. I have been searching trying to find a water bottle made in USA. I am amazed that it is so difficult and find it inexcusable that the manufacturers cannot make it “feasable”. There is also another glass water bottle company that has some of their bottles made in USA. It is called Betrulyyou. Some of the bottles are not made in USA, but the USA made ones are labled. The cover is not the most eco-friendly one and it is not made in USA but the bottles look fun and great to use. Do your own search of glass water bottles. This is just another alternative to plastic or stainless steel AND a better bet for finding something made in USA or NOT in China. I am deciding which ones I want to buy and then give them a try. For any of those manufacturers of SS who are reading this, there is a demand from the US citizens to find products made here in USA. I see and hear it everywhere I go! My own personal philosophy is… if I cannot find it USA made, I will look at Canada and Mexico and then to Europe. China is a LAST RESORT. I know that to be true for many! @Yvette: do we know where rubbermaid bottles are manufactured? Their website doesn’t specify. Could be China as well. @Janet: I agree; while I’m worried about the well-being of an entire country (China), my #1 priority is the well-being, health and safety of my 2 kids and my own country. So we drink out of good stainless steel bottles rather than plastic. I’m trying to go green. I’ve used a water bottle for over ten years and really love a straw. I’ve been looking for a stainless or BPA free with a straw. The camelback sounds like a good fit. If I can’t find a one liter bottle, I guess I’ll just have to refill more often! 1. Wide mouth so I can clean it in the dishwasher or by hand and not have to worry about old yucky smells. 2. Easy to carry, so maybe a hook or loop on the top. 3. Narrow so I can fit in cup holders, but not small in size so I can have a good amount of water. The sippy tops don’t really do much for me, so just something that twists on and off is good. My Klean Kanteen fell of my bike so many times the dents stop it from standing up. My next bottle had only a screw-on top and that ended up splashing down my front whenever I tried to drink on the eliptical machine or treadmill at the gym (its now my son’s.) It is important to be able to drink out of it so the pop-up top or straw is crucial for me. The water bottle I’m looking for is STYLISH, ATTRACTIVE, LIGHTWEIGHT, FUNCTIONAL AND EXTREMELY SAFE! An added bonus if is SOUNDS GOOD too! A “stainless steel” bottle that sells for $3.99-$6.99 is probably made of a really low grade of stainless steel. Sure, they’re stainless steel, but you want the bottle to be made of 18/8 stainless steel (which is food safe stainless steel). Anything of a lower quality is subject to rusting; I’ve seen it — yuck! While I like the idea of the non-‘made-in-China’ glass bottles, there are many places where glass can’t go. Plus, they break. I’ve had my 40 oz. Klean Kanteen for nearly 18 months, & I have dropped it so many times that I have lost count. (I had a Nalgene bottle before, & I dropped it & it cracked.) Yes, I would definitely like to have an SS bottle made in the States, Canada, or parts of Europe. I would even pay more. I know is never going to happen though. @Yvette, I saw the Lifefactory bottles in a local store today and they seem like what I have been searching for! They would probably not be good for fitting in a bike holder but otherwise I am very excited about them. They have a silicone wrap to help protect against breakage and they’re dishwasher safe. I would stay away from Sigg bottles because they are aluminum and have liners. Started with some of the Thermos bottles (and one sippy cup). Straws were nasty to clean, so many little nooks and crannies. Kids quickly wrecked the straws and the plastic bottoms and caps started falling off or breaking. They got hard use for about a year or 2. (they were also leaky if put too long on their side). They were replaced by the Camelbak BPA-free plastic bottles. LOVE THEM. The bite valve works wonders. . .looking forward to picking up some of the SS Camelbaks for the insulation. Only wish I could find some Made in the USA SS bottles. @ Debbie ~ Nalgene bottles are made in the USA. . .they have stainless steel and plastic. Also, check out the website ‘stillmadeinusa.com’ for other items. Nalgene plastic bottles are made in the USA, however, they contain BPA (have a look at their website under the FAQ’s). Although they’re fazing the BPA ones out for some other type of other plastic bottle, the website seems to spend quite alot of time trying to convince you that BPA is safe. Also, their S.Steel ones seem to be imported under a different brand. So, not made in the USA, but they’re stainless steel so they’ll be better than the plastic. Easy on the China bashing! I happen to live here and would like to suggest that you pay China a visit before propounding such a one-eyed view of the country. I also suggest you all watch a number of documentaries about the state of the environment of good ol’ USA. Just look at the damage being done to the planet by our lovely friends the American’s. Try educating yourself and start by watching a few documentaries. Tapped, Crude, Food Inc and Gasland to name a few. If ignorance is Bliss, I wonder what stupidity is? I hate to agree with “China friendly”, but she/he’s got a good point. I live in the US and we are hugely responsible for tons of plastic landing up in the oceans. If you watch Tapped or Planet Earth it will really enlighten you. I don’t think there’s anything wrong with stainless steel bottles that are made in China, just make sure it’s from one of the leading companies like Klean Kanteen, FOF Bottles or Camelback. It’s much better than throwing away plastic bottles everyday. I have been drinking out of a glass bottle for over a year now. The same glass bottle. It is the bottle that most organic fruit juice is sold in. It holds more water than an average steel or plastic bottle holds and it’s very sturdy and hard to knock over. It may be a little “heavy” but I found that I got used to the weight of it, and just bring my back pack with me everywhere I go in case I tire of holding it, which usually doesn’t happen. Also, because of its uniqueness and size, people ask me why I am carrying it around. BAM perfect opportunity to share my views on plastic water bottles! I read everything on this web page and still don’t know enough to make a decision on which SS insulated water bottle I should purchase. I need a bottle that will keep water cold, fit into the cupholder in my car, and hold enough water to make it worthwhile. Also needs to reasonably priced. I looked at “details” on each of the brands listed in the smackdown and I did not see info on what type of SS or what the lids were made of, etc. Do you have to call each company to get this specific info? @Marsha, what do you think about the people in the USA that loose their job because companies move their production to China ? I’d prefer to pay $100 for a bottle and keep my job, because without a job even affording the cheap $20 china made bottle will be a problem. If you’re going to go for a reusable water bottle I’m putting my bid in for a glass water bottle. There are many available on the market right now and several that I can recommend. My second pick is Lifefactory’s water bottle. This is also a glass water bottle that has a custom, proprietary silicone sleeve that prevents breakage. There are tests on youtube for your viewing pleasure where the bottle is dropped from 24 inches or more onto the ground, both carpet and concrete, and the bottle does not break. Very cool and their bottles are Made in Switzerland. They have some really cool silicone sleeves in flashy colors that make your bottle stand out. I ride by bike a lot and have two of these because they fit perfectly in my water bottle holders on my backpack. My third pick is a water bottle called RYF Water bottles. These are Italian Wine bottles that have been turned into water bottles with a ceramic lid. RF Water bottles are Made in Italy and they definitely have my pick as a water bottle to get. They also carry a cool, insulated sleeve that keeps your water cold for hours. Their website is . Lastly, my final recommendation for a water bottle is called Love Bottles. These folks go on the same philosophy as betruly you but they have several different designs and the bottles have colored bubbles where you can write out peaceful words to affect your water. They have some cool bottles. Their bottles are also Italian glass but I believe they are responsibly Made in China. Betrulyyou has my vote as the top company because their goal is to have all of their bottles made in the US. Having their Metro water bottle made here is certainly a plus. I’m sure you’re asking why I’m commenting about glass bottles when the discussion is about stainless steel. Well, I’ve been a user of Klean Kanteen water bottles for years but what I’ve come to realize is that the purest taste comes from glass. Glass does not hold any flavors nor does it impart any. The final product that you’re drinking is not metal tasting water but water. Also, all stainless steel water bottles are made in china. None of them are Made in the US. At least you can find a glass water bottle made here, Switzerland and Italy. That’s better than China in my book. If we are to stimulate the economy back home we must use our money wisely and spend here first and then only with countries that we have open trade agreements with. Italy and Switzerland are a plus. China is not. With regard to the China manufacturing question; no I have never visited China and yes I have seen the documentaries you have written. Yes the USA has some awful environmental history BUT if you want the USA to have ANY manufacturing future YOU NEED to start supporting our economy here by making an effort to purchase here. AND you are turning a blind-eye to the negative environmental travesties occurring in China; where events over the last years have shown for a fact that the Chinese government has minimal manufacturing safety and fair labor standards / environmental standards http://www.nytimes.com/2010/02/10/world/asia/10pollute.html such as http://www.usatoday.com/tech/news/2002/02/25/computer-waste.htm, dog-food poisoning, toxic lead jewelry, toxic lead paints in children’s toys, and posioning its own babies milk formula http://www.foodsafetynews.com/2010/02/china-recalls-170-tons-of-melamine-milk/. NO SS isn’t available “made in the USA” because consumers are more willing to buy cheap from China than demand USA companies start making SS here. USA made Nalgene has BPA-free or thanks for the glass bottlesI hadn’t even considered. And least we forget that China is a communist dictatorship that has no problem censoring its own people and killing its own people (Tiananmen Square). So buy from China knowing you are harming the environment, your own economy, and possibly some one elses child. @ Ann – thanks for you comments about buying stainless steel water bottles from China. Nalgene is BPA free, but it’s still plastic. We will be doing an upcoming post on glass bottles – so thanks for your feedback. Great information. If you’re suggesting Nalgene, then I think you’re missing the point. Plastic is still plastic, whether it’s BPA free or not. That plastic bottle will eventually land up in a landfill and sit there forever. VERY little plastic gets recycled, and with the plastic that does get recycled, VERY little of it actually gets re-used. In fact, most of it goes from recycling to either incineration or a landfill. Stainless Steel is still the best for the environment. These ones in this post look like the way to go. Since I found out my Big Bottle is lined with BPA I’ve been looking for another water bottle. Looks like the 40oz Kleen Kanteen is the winner for me. Thanks for the informative review. What about Eco Vessel. I have been reading your reviews as well as others, & I’m surprised not to see something about it here, especially since you took the time to deal with Sigg. I’m looking for something that will hold up because they quit making my favorite plastic water bottle. I’d reuse them till they simply expired, & now they’ve new & improved them into a different kind of spout. grrrh. Thank you for the information you’ve put forth. FWIW, the first reply I saw mentioned an insulated SS water bottle, my husband uses one from Thermos (TherMax) that is really awesome! He prefers to drink unsweetened iced tea, and this is the first insulated bottle he’s had that keeps the ice pretty much all day long! We have honestly noticed that we do not consume as much as ice using this bottle! He has bought them from Gander Mountain, you can find them at Walgreens, and I think Target has them as well. It has a flip-top lid with a button to release the lid (and a bail to keep it from opening by accident), a rubber grippy to make it easy to grab ahold of, and it fits well in vehicle cup-holders, too! Hope that might help someone else. This is a most outstanding discussion. I’ve decided for safe, reusable, easily cleanable and made in USA its Nalgene’s wide selection of BPA free. check out lifefactory I just ordered a couple of the 9oz bottles, yes they’re glass but the 9oz are extremely durable, they all come w/ a silicone sleeve, your beverage will taste better and you won’t have to worry. Thank’s Elizabeth, got my lifefactory bottles- just what I wanted. Have you seen the Bamboo Bottle Company? They are a bit backlogged or in between manufacturers or something. Neat design but currently unavailable. Glas has been made in China but when I called I was told they are looking into US made. huh just checked for a reply and found my e-mail still here??? @ Mike – Glad to hear your lifefactory bottle is working out for you. I haven’t seen the Bamboo bottle company but will take a look. hmmm- Just got to work, found milk had leaked all over my lunch bag, checked the cap and it could not be tightened any more. Not so sure about my life factory product. I would want a bottle that I can use for biking. So it has to fit into the cages on my bike, be easy to get out and drink while riding without having to stop, and won’t “rattle” or make noise when going over rough terrain. I have a stainless steel water bottle and love it, but would really like to get a new one, or just a second one. I have dropped mine a lot so it is dented, gives it a little character though. @ Renata, my stainless steel one is from Enviro Products, it doesn’t have a sports top but I believe they do sell ones with sports tops. Mine holds 40 oz. and i think they have a sports top for the one i have. I look for ease of use – a spout is best. I also am currently looking for one I can get a mini version for my son. Cause who wants a sippy cup if you can drink from mommy’s water bottle? 1. Does it fit into my cup holder in my car? 2. Is it double walled and insulated? 3. How expensive is it? 4. Is it nice looking? 5. Will it hold enough to get me thru the day? Right now I have order a few different brands including Camelbak,Pure hydration,Eco Vessels and Thermos Intak. I’ll let you know how they do. I have two Enviro Products stainless steel bottles (or so they are labelled) that have a lot of corrosion inside near the openings, and a bad taste, like oldtime army canteens. I’m looking for steel water bottles to myself and 4 grandchildren to promote green. I bought a stainless steel waterbottle, it was on special for $8. The brand is “A Brand called Ed”, it claims to be stainless steel but somethimes I wonder, I dont care if its made in China, or the outside is aluminium, is the inside stainless steel? I love this website! With 4 kids, I’ve been through ALOT of water bottles and have tried, seen (and destroyed – haha) most of the ones on this site. In my opinion, the best ones for a sport-spout is Camelbak if you’re an adult; Kleankanteen and FOF Bottles also have good sippy adaptors for their small bottles (but also fit on the bigger ones). Camelback, Kleankanteen, FOF and Thinksport are all best for durability and good quality stainless steel. Thinksport and FOF are best for looks. For cleaning; any of these ones with a wide neck are the best. Riley: if you’re getting corrosion near the opening, then it’s probably not a good quality of stainless steel. I am looking for a water bottle made in the usa. All parts top/cap/bottle. this is HIGHLY important to me. Second is no condensation. Do you have a product that meets these? Please advise soon. thank you. I think the Camelbak and the Klean Kanteen would both be good options! How long have you had them? I have been using my Enviro for 3 years and haven’t had any problems. I would go with the Camelbak because it will keep all the drinks cold and are easy to clean because they have wide mouths. @ Jude, I’ve never heard of “A Brand called Ed”. Where did you buy the bottle? because they are more likely to be made in the US. I did not know Camelback made stainless steel bottles. That’s awesome! And just when I entered the market for a new bottle. My Sigg now grosses me out due to the interior coating. I agree with all the Made in USA requests… I gladly pay more for goods made here… It’s called Social Responsibility and until we and the Corporations that run this country learn it, we are doomed to further self destruction! what about the Thermos insulated water bottles? Are they disqualified because of the plastic cap? We’ve had pretty good luck with them except for some leakage because the “o” ring sometimes gets loose. I worried about anything made in China. Is there a downside to using bottles made in China. Radiation, poisonious minerials? Just bought a new water bottle just because I needed something new. Really enjoying having stanless steel so far. All of the normal pros and no cons. My issue is that I don’t like to drink water unless it’s really cold. Which keeps water cold longer, aluminum or stainless steel? I need something safe to drink from and large enough that I won’t finish it in a few gulps. Great information as I look for a stainless steel option for my son as he goes to Boy Scout Camp. Also, what about the insulated thermos water bottles? i look for a secure/ non-leaking top (sports top preferred), insulated is nice, and standard size so it fits in a belted hip pack for hikes. I am looking for a new water bottle that is durable, leak proof, wide mouth and easy to clean. I normally buy the plastic BPA Free ones but they don’t last long in my opinion and leak after several uses. I have enjoyed your well written and informative review on the stainless steal water bottles and would love to have the opportunity to win any of your water bottles. In searching for a personal bottle to hold water, I also considered the point of using my bottle for other purposes. The CamelBak seemed to be the most reasonably priced, the most functional; it holds filtered water, coffee, tea, juice and can be frozen without breakage. I bought two actually, one for my daughter and one for myself! The CamelBak Stainless Steel Water Bottle is functional for my car, my RV, my bike and my scooter. If I’m hiking, biking, motoring or at work, the CamelBak is the complete, all-around bottle for me! Happy hydrating! wish they would stamp them “stainless” if they are–so you know you’re not getting an aluminum one! and why are they so blasted expensive?? if they’re all made in china and really not the best quality, there’s a discrepancy in pricing. i can find them for $3 (sale) or $25 (ridiculous)–for chinese quality. can’t we get US-made? I am looking for 24 ounces so that I can drink one of those in the morning and one in the afternoon, and then I know that I’ve hit 6 glasses of water and only have 2 more to go when I get home from work. It helps me measure my water. I also like room temp water. Was hoping for ‘made in the USA’ for safety purposes. I’m really surprised that no one has mentioned Hydro Flask bottles (hydroflask. com). Double wall vacuum insulated 18/8 stainless steel that is BPA-free and light weight and you can use it for hot or cold drinks. The owners of Hydro Flask also created fivepercentback.org so, of course, 5 % of your purchase goes to a charity of your choice. For those on a budget, you can also purchase them from Amazon.com. Yes, they are made in China, but they do not hide it and address it on their website. Oh, yeah, they also have a lifetime warranty! Keep your Camelbak, I’ve tried it (and Kleen Kanteen), but I’m happy with bottle. And as an avid hiker, Trail Maintainer and Environmental Educator, I have put mine through real tests! I would love to win a stainless steal water bottle. What about cleaning the bottle? I like something that’s easy to clean, without all of the nooks and crannies that gunk tends to build up in. You should add this factor to your review as it seems the CamelBak may fall short in this area. I have been using the Kleen Kanteen and it is the best by far. However, it is more expensive than others. I guess the old “you get what you pay for” is true in this case. The only negative side to the klean kanteen other than the price is that for the 90 Oz new bottle there is no sports cap available. I can drink a lot of water during the day and 40 oz is not enough. we r factory here in China,and we will make more excellent quality bottles for u. 6)leakproof! 7)wide moth for ice tubes etc. I will buy nothing from China, you killed my dog once and you have killed children with your tainted products. Hey everyone, check out Liberty Bottle Works! The ONLY American Made metal water bottle company on the market today ). I bought one the other day! Kleen Kanteens are Chinese. Liberty Bottle Works invests in America! Sorry, it just can’t be that expensive to make a stainless steel bottle in the USA. The main reason China is cheaper is because the labor is cheap. I really doubt stainless steel and other materials are that much cheaper in one country than another. So basically it is the cost of building a factory and labor. Well, guess what, the USA used to have factories until they had the stupid idea of having all this crap made in China. So yes, that’s an investment. I don’t care if the worker is $1/hour or $20/hour, they are still gonna make quite a few bottles in a an hour, so even if they only make 10 bottles an hour, the cost of the bottle would go up $20/10, ONE DOLLAR. Get with the program people. This really can’t be that hard. Correction… typing faster than my math skills. The cost would go up $20/10 = TWO DOLLARS. Oh noes, like I would go broke buying a $12 bottle instead of a $10 one. Our factory produce and export 18/8 stainless steel water bottle for nearly 10 years .our main products incldue 18/8 stainelss steel water bottles,18/8 stainelss steel sport bottles ,stainelss steel water bottle with filter .18/8 stainless steel travel bottles,18/8 stainless steel baby feeding bottles,18/8 stainless steel insulated infant bottles .all of our products are BPA FREE and light weight and you can use it for hot or cold drinks. Our factory produce and export 18/8 stainless steel water bottle for nearly 10 years .our main products incldue 18/8 stainelss steel water bottles,18/8 stainelss steel sport bottles ,stainelss steel water bottle with filter .18/8 stainless steel travel bottles,18/8 stainless steel baby feeding bottles,18/8 stainless steel insulated infant bottles . Try Zojirushi or Tiger brands both from Japan. They are stainless steel dble walled and are almost 1.5 lites. I do not like items made in China. I bought two water bottles from FLYLADY. One was defective they would not replace. My 78 year old mum suffers from severe dry mouth and she needs to sip water all the time. I am looking for a small glass or plastic bottle (about 15 cm high), that she can keep in her handbag, with a wide collar so that it can be cleaned easily and regularly and with a pull-out drinking piece (like the energy drink bottles). Can anyone help me please? Stainless steel is good as well! Liberty bottles say they are the only American (US) manufacturer of stainless water bottles. @ Greg – The Liberty Bottles are made of Aluminum – NOT Stainless Steel unfortunately. I own a Klean Kanteen single wall, Klean Kanteen double wall, Nathan flip straw, and two Hydro Flask double wall. By far Hydro Flask is my favorite. I dislike the feeling of the cold bottle in my hand with the Klean & Nathan single walls, and the Klean double wall has an uncomfortable rim to drink from. The Hydro Flask double keeps drinks ice cold for hours and I don’t feel the cold against my hand. The mouth is easy and comfortable to drink from as well. I bought the Fly Lady water bottle. Within a few months rust was building up on the inside. I contacted Fly Lady and was told it was to late to return it. They said I should use Bartenders’ Friend to remove the rust. This did not work. The rust continued to build up and looked so gross. threw out the bottle. Our 100 series canteen does everything you asked for and more. Sounds odd, but putting a sock on the bottle works well. I held the top with one of those rubber wrist bands everyone gives away. The youngbottle has a full life time warranty. We just replaced a bottle someone dropped from the bleachers at a hockey game. china is a big country things happen chill, and BTW i bet most of the things in your house is made from china. Glass water bottles have been known to meet all the health safety requirements while maintaining the purity of water and being eco-friendly. I’m a big fan of Nimbus bottles. Big selling point for me was that they support 3 causes each quarter and you get to pick where they donate 10% of your purchase to.